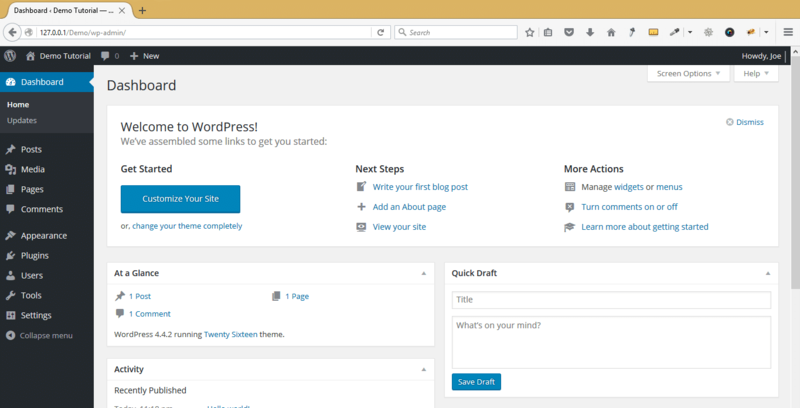 Installing WordPress on your computer can be a great step towards building a testing environment for your WordPress themes and plugins. WordPress can be installed both on Mac and Windows and upon successful installation it runs just like the live site. The beauty of installing WordPress on your localhost is that you can carry out a variety of tests without worrying that things will go wrong. I will be illustrating how to install WordPress on one of the most common desktop servers – Xampp. For you to follow this tutorial you need to download and install Xampp. 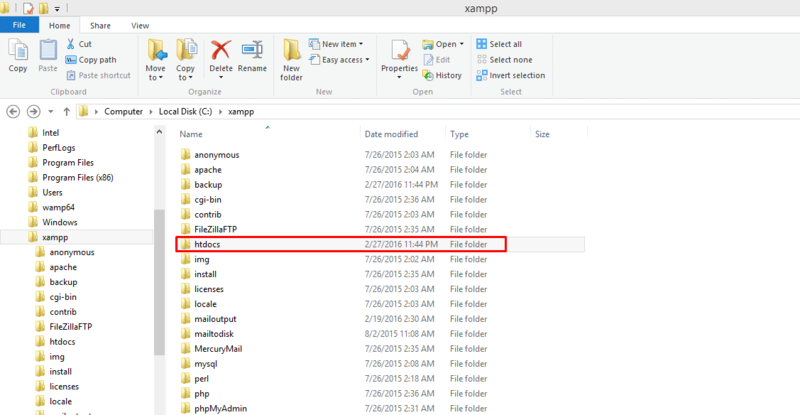 Before we get started with WordPress installation, you need to have Xampp running on your computer. You can download Xampp from here, installation of Xampp is easy since should click on the .exe file and allow it to run. You should follow the installation prompts like installation procedure of any other software or.exe files. It also important to note that Xampp utilizes the same port 80 and 443 as Skype and at times there is a conflict between the two. You can solve this conflict by editing the Skype ports or editing Xampp settings to use different ports instead of port 80 and 443. When you create the new ports for Xampp your localhost address will have to change to include the ports. 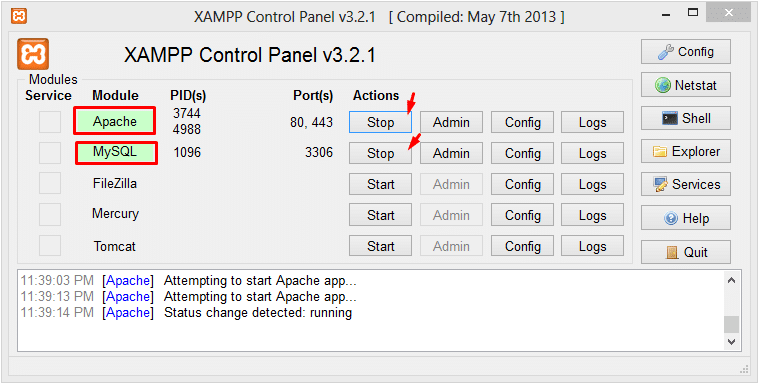 If you want to run Xampp server without editing the ports on Skype or Xampp you can run one at a time. This means you can switch off Skype in order to run Apache sever. 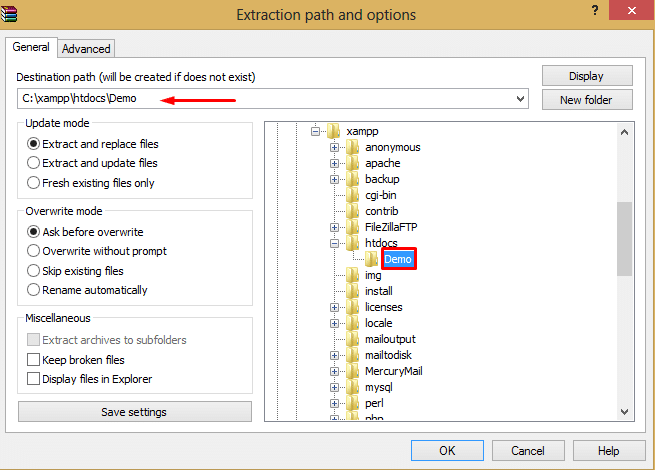 Detailed Installation of Xampp is beyond the scope of this tutorial. The first step when installing WordPress is to start your Xampp server, ensure you start Apache and MySQL. Click on the start button to start running Apache server and MySQL database. We will name our site Demo so we need to create the folder inside htdocs and name it ‘Demo’ then check on the browser to see if the folder is visible. We now check on the browser to see where we will be installing WordPress. Download WordPress and extra it in the folder we created inside the htdocs folder. To download WordPress official site and click on the .zip download file to begin downloading WordPress. 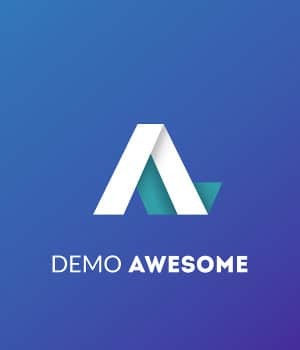 After downloading WordPress we should now extract it to our Demo folder and test it on the browser to see if it’s ready for installation. After creating the database we need to create a user and allow the user to have all the privileges. 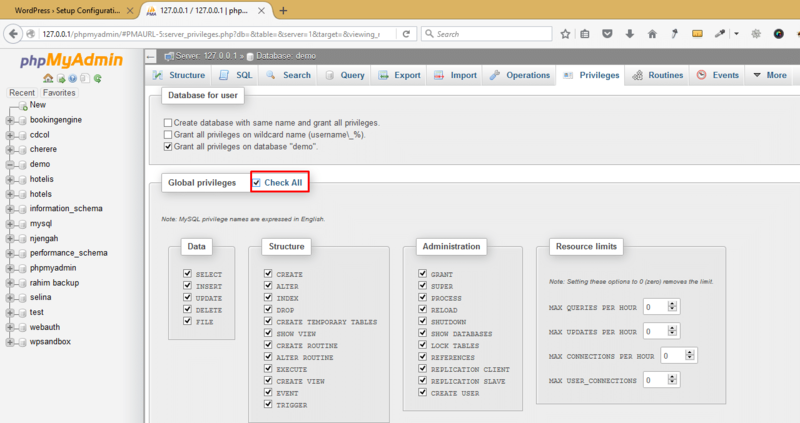 To create the user first select the database you created then navigate to privileges on the top menu, under privileges click on add new user. After clicking on add user, you should now type in the database login details that include the name of the user, host and the password of the database. At this stage you should remember the host should remain as localhost. This also applies when you create a database on hosting since localhost means within the same environment. After creating the database user we now need to give the user all the privileges. Under the login details form there is a section of allocating Global Privileges to the user. We need to check all and click on go to allocate all the privileges to the user we created. Now we need to go back to our WordPress setup and begin the installation since we now have the database details. Click on let’s go button and fill the name of the database, name of the database user and the password of the database as we had set up in Phpmyadmin console. When you click on submit you should now see the screen that shows your database details are right and you can now run the WordPress installation. 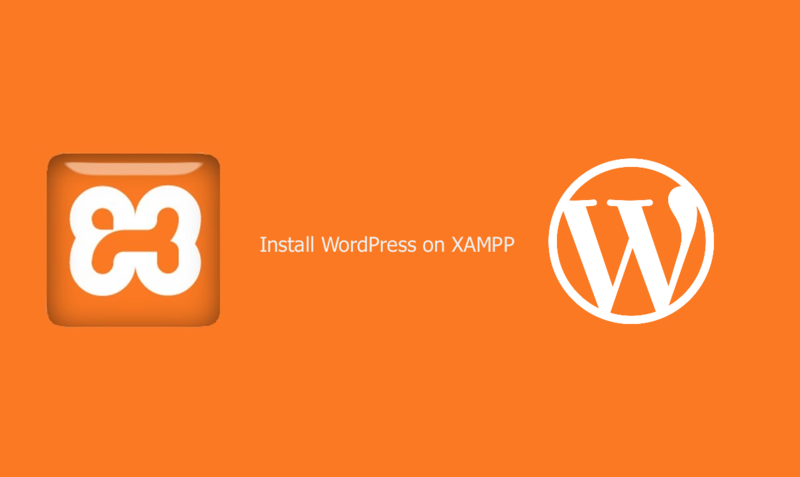 Click on run installation to begin the process of installing WordPress on your local Xampp server. Now fill the site’s details that include the site’s name, WordPress admin username, admin password, admin email and whether you should discourage the search engines from indexing the site. 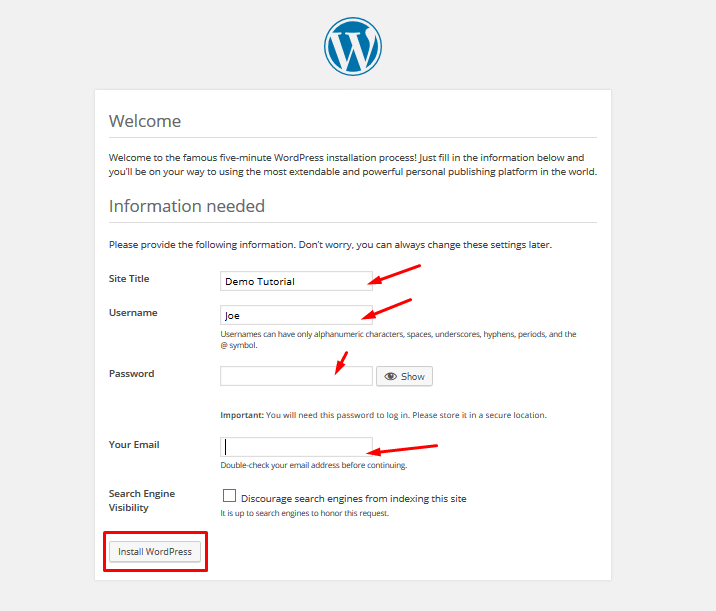 After filling these details you should click on install WordPress and complete by logging in to test if your WordPress installation is successful. If you have followed all the steps correctly, you should see the screen showing you have successfully installed WordPress on your Xampp server. After filling the details above and clicking on install WordPress, you should now be ready you login and test your new WordPress installation as well as review the wp-config.php file to see what is in there. As you can see above we have successfully installed WordPress and login and everything works well. 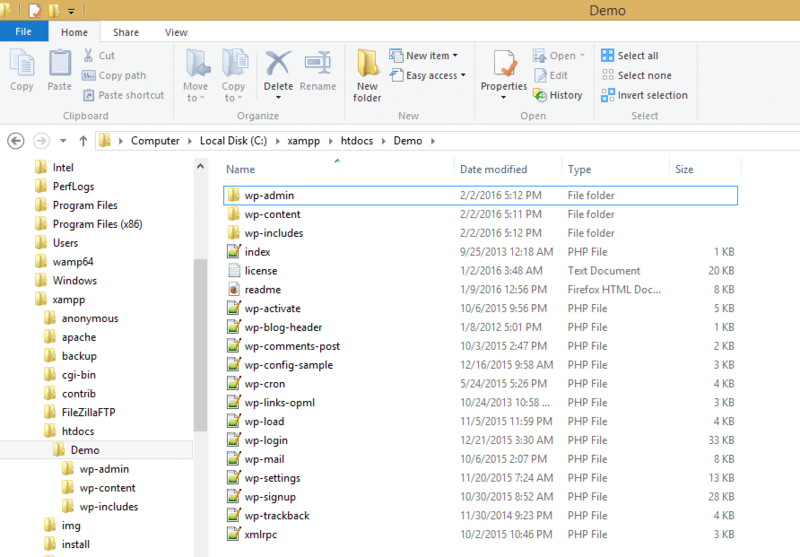 If we navigate to our htdocs folder then to the site’s folder – demo we can open and see the wp-config.php file. If you carefully look at this code, it details the database we created in Phpmyadmin, the username, the password and the host. These details are very important for any WordPress installation. 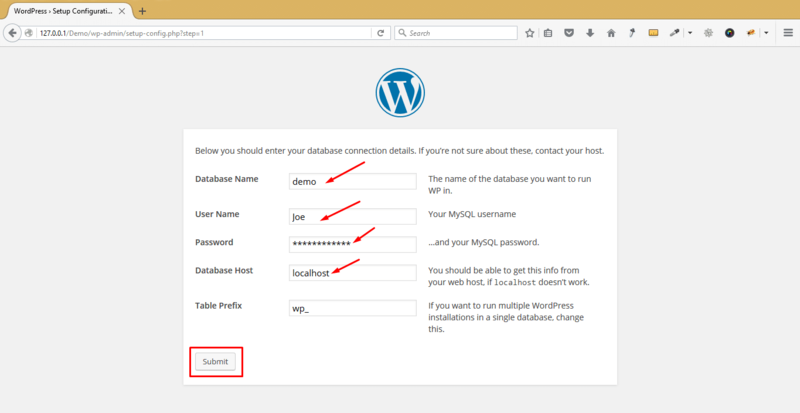 As you will see in manual WordPress installation, these details are filled to connect WordPress to the database that exists in the server. 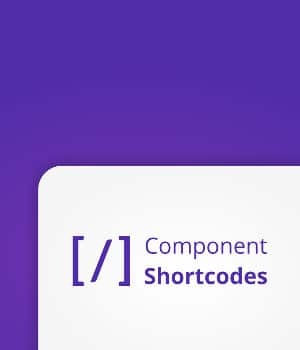 If you would like this WordPress installation to serve as your development environment there is a small edit we need to carry out in the wp-config.php file to allow for error reporting. 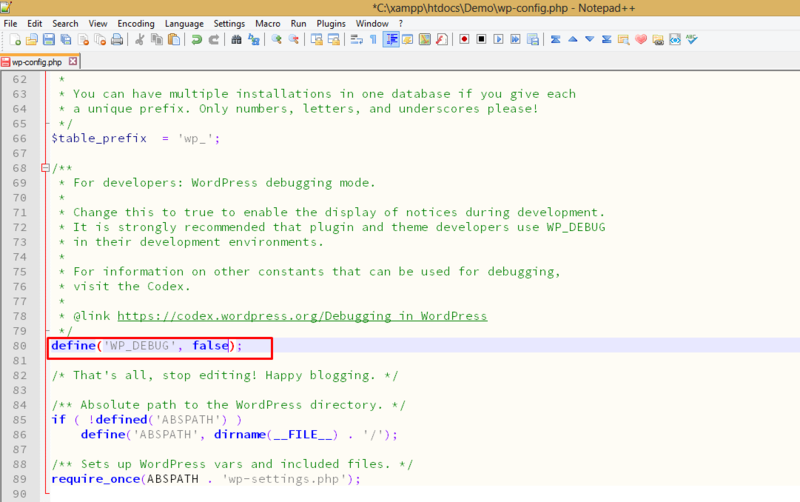 By default when you install WordPress on your localhost the debugging mode will be turned off. You need to look for this line of code in wp-config.php and change the Boolean value to TRUE. 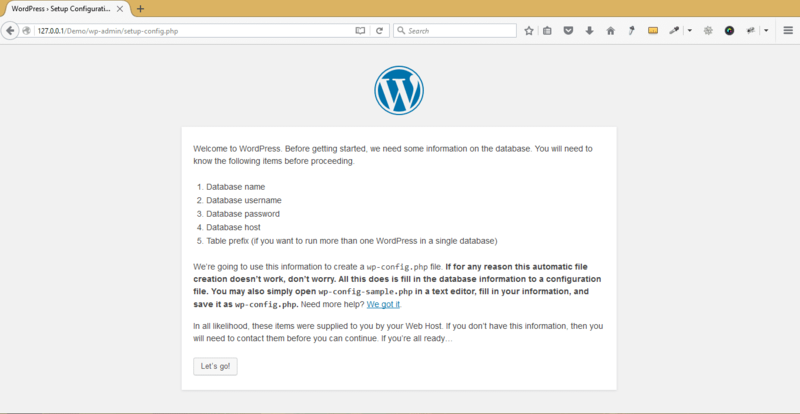 In the next tutorial, I will be installing WordPress on Wamp Server another popular desktop server. 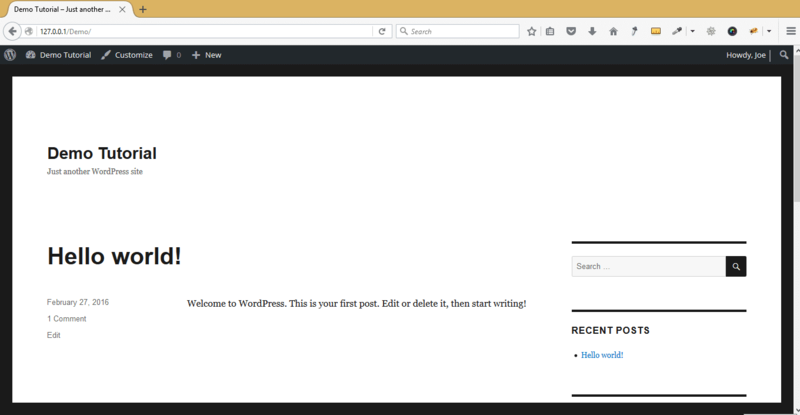 I hope this tutorial has guided you and enlightened you on how to install WordPress on localhost. If you have any questions, comments, compliments or further inquiries please get in touch using the comments section below.